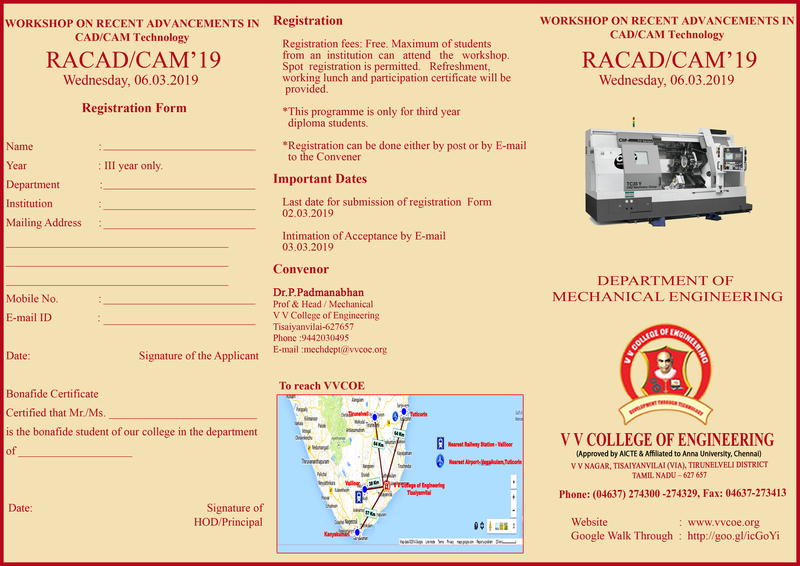 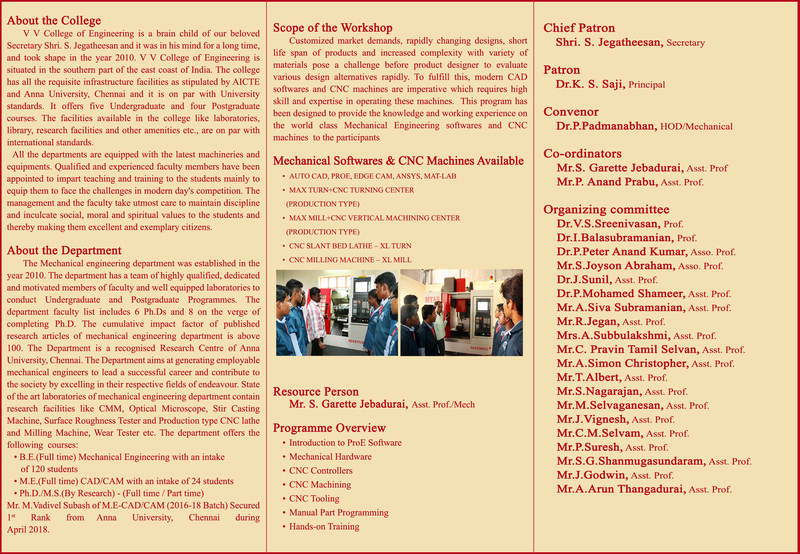 Department of Mechanical Engineering is organizing a Workshop on ''Recent Advancements in CAD/CAM Technology'' (RACAD/CAM'19) on Wednesday, 6th March 2019.
on Wednesday, 6th March 2019. 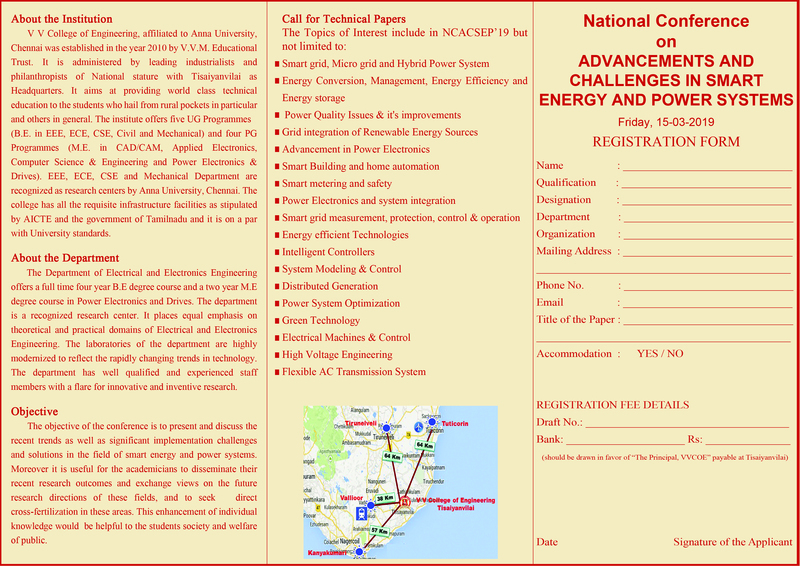 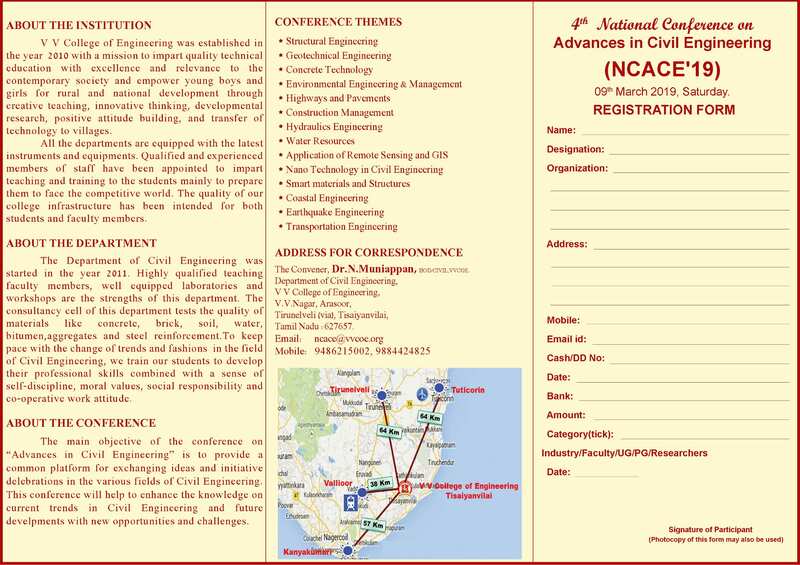 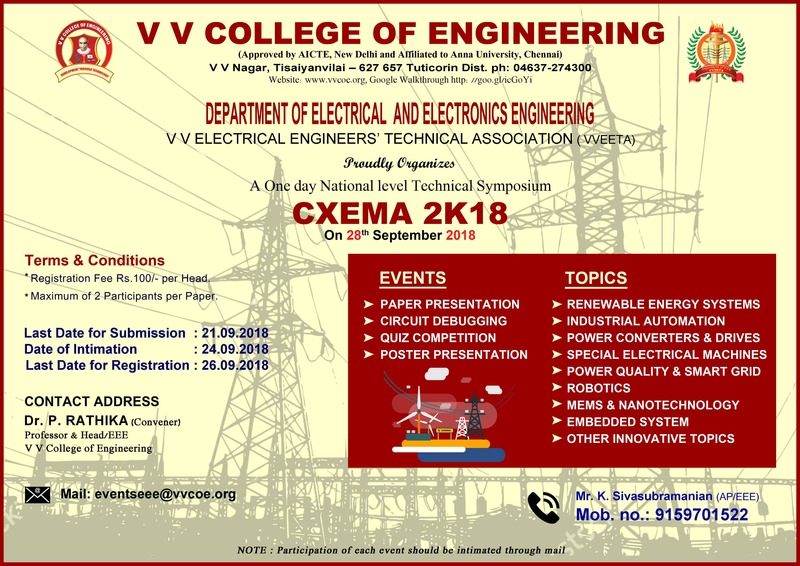 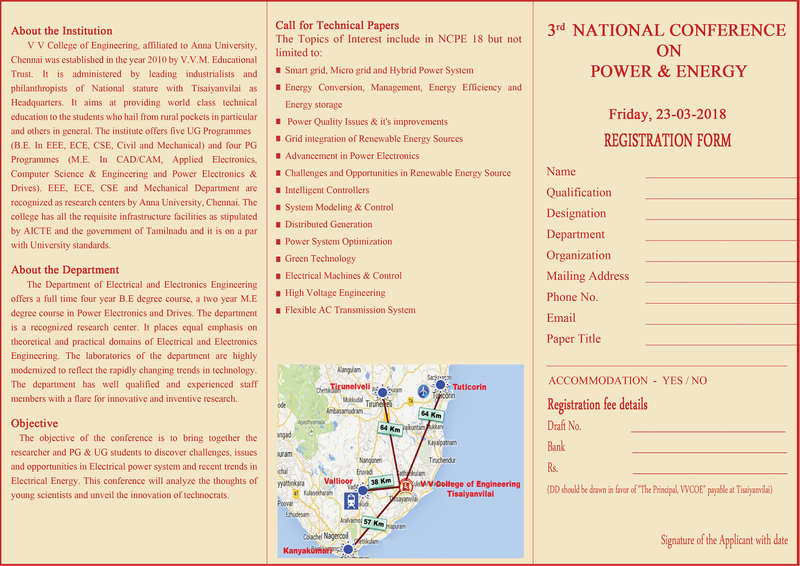 Department of EEE announces One Day National Level Technical Symposium CXEMA 2K18 to be held on 28-09-2018.
to be held on 28-09-2018. 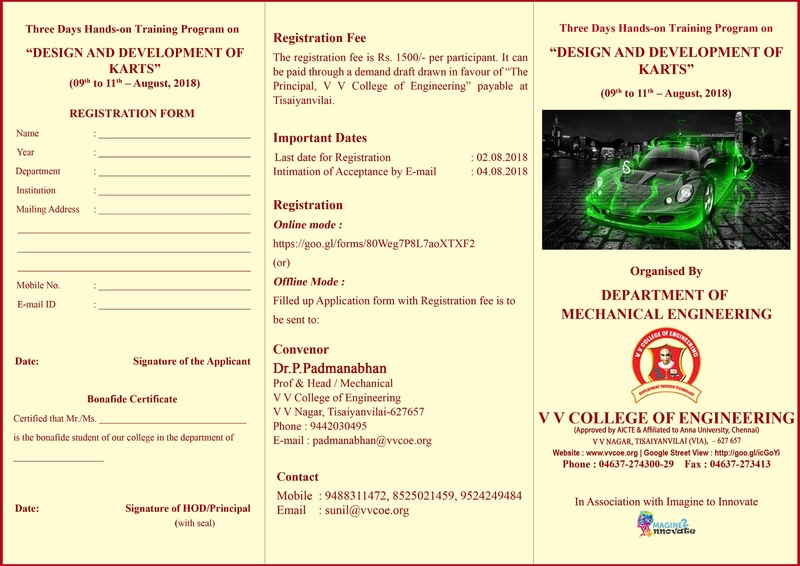 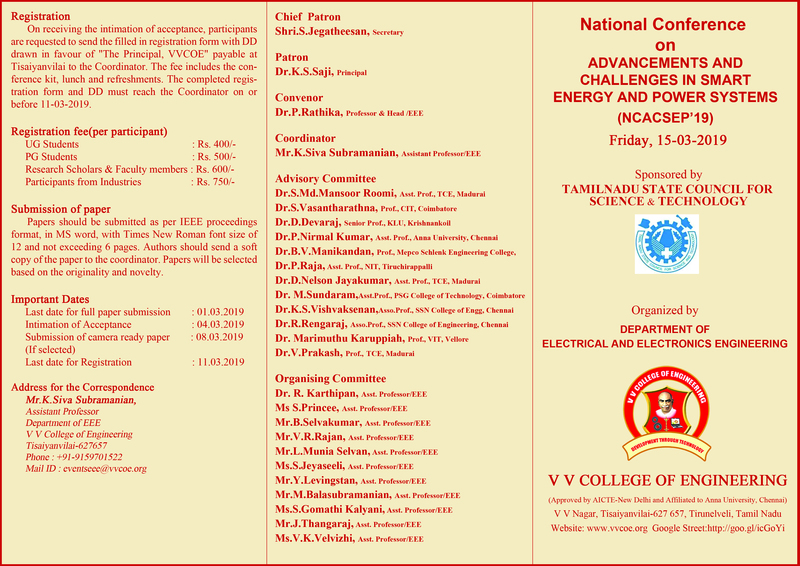 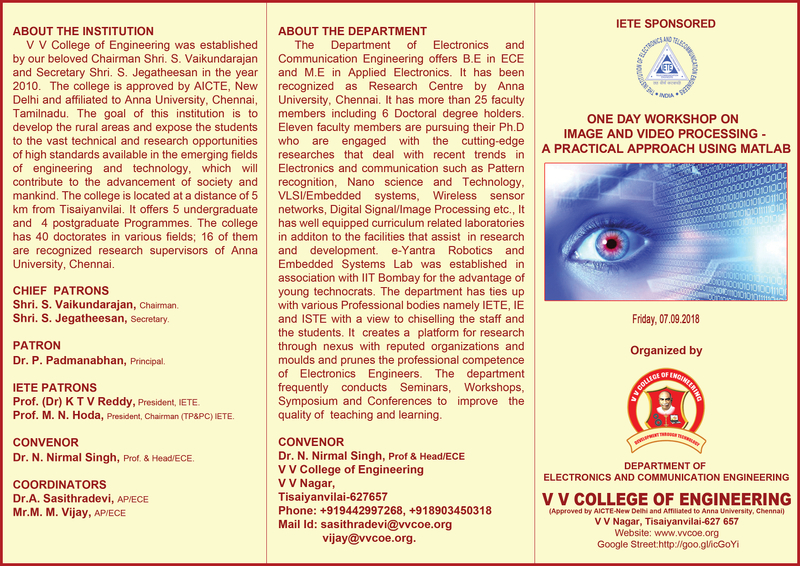 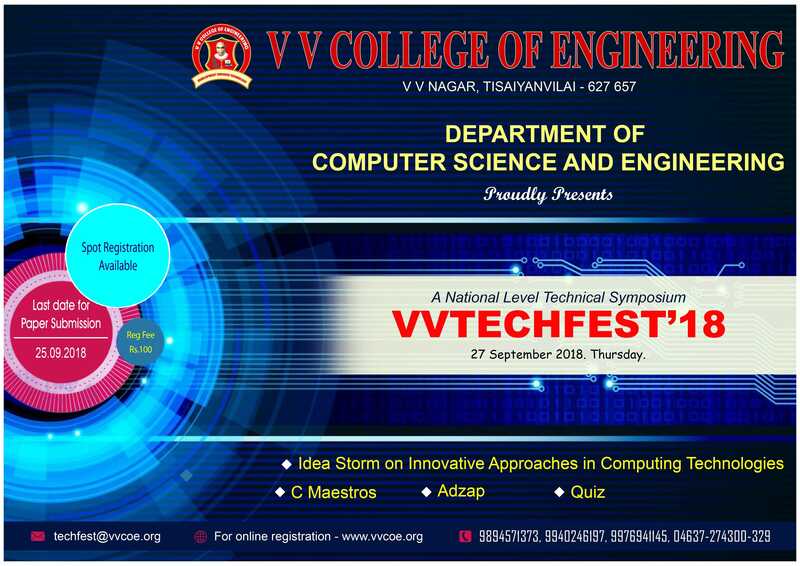 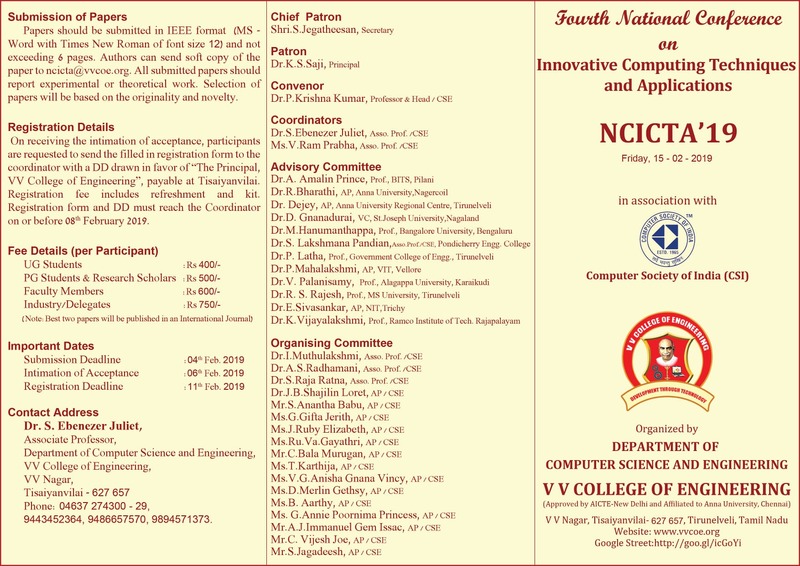 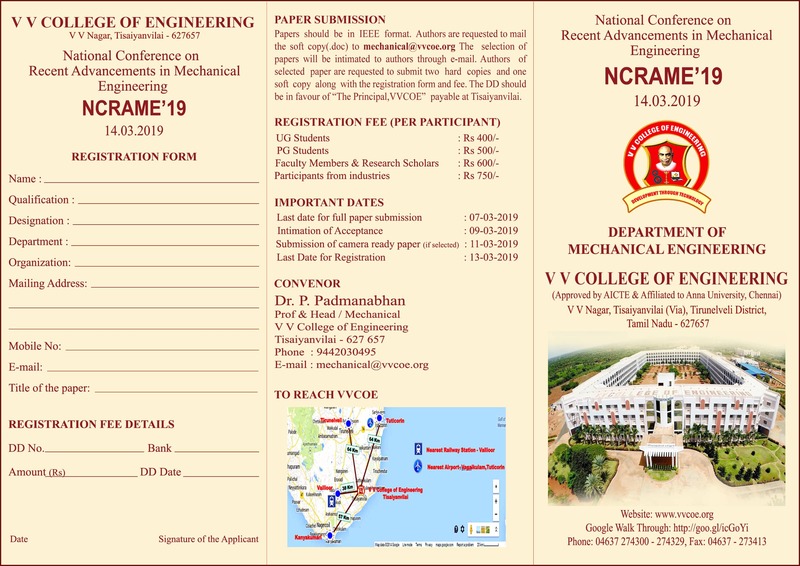 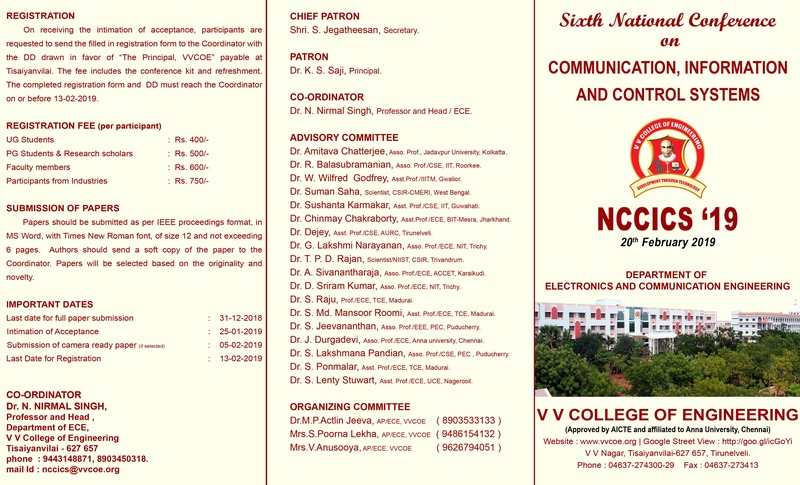 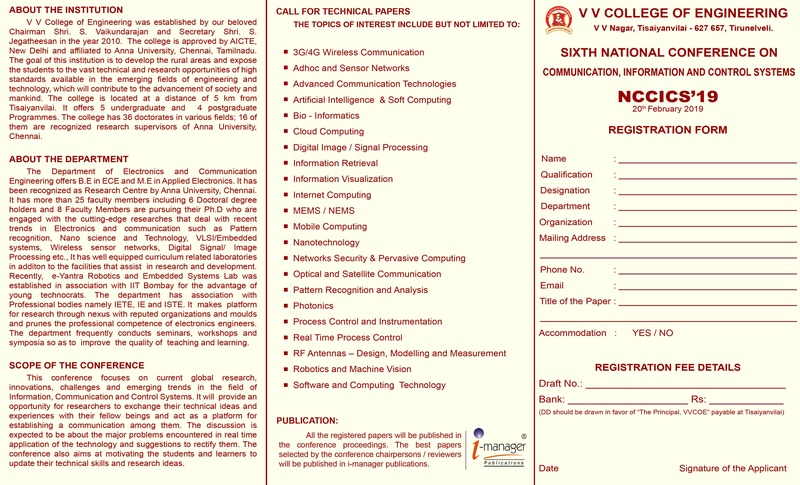 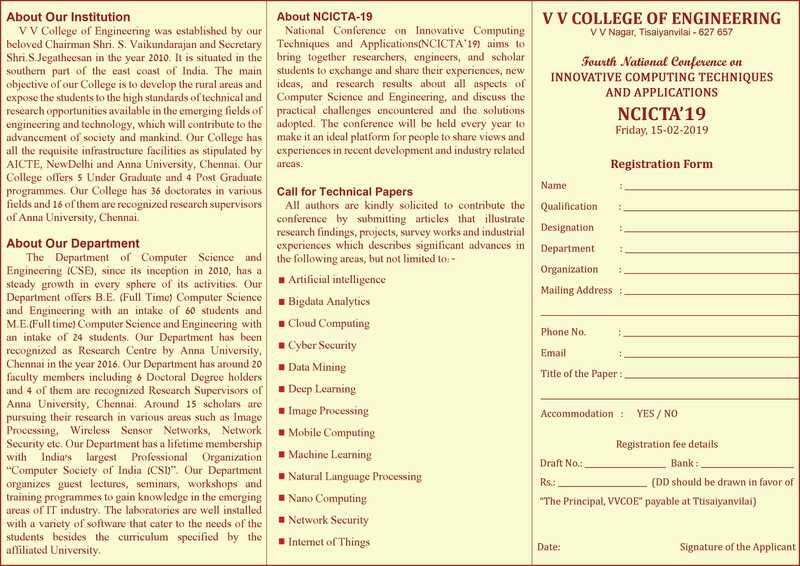 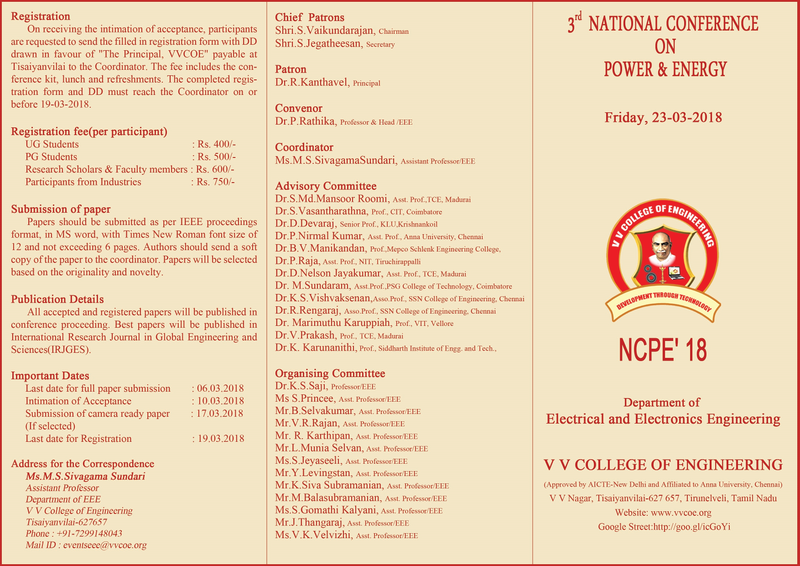 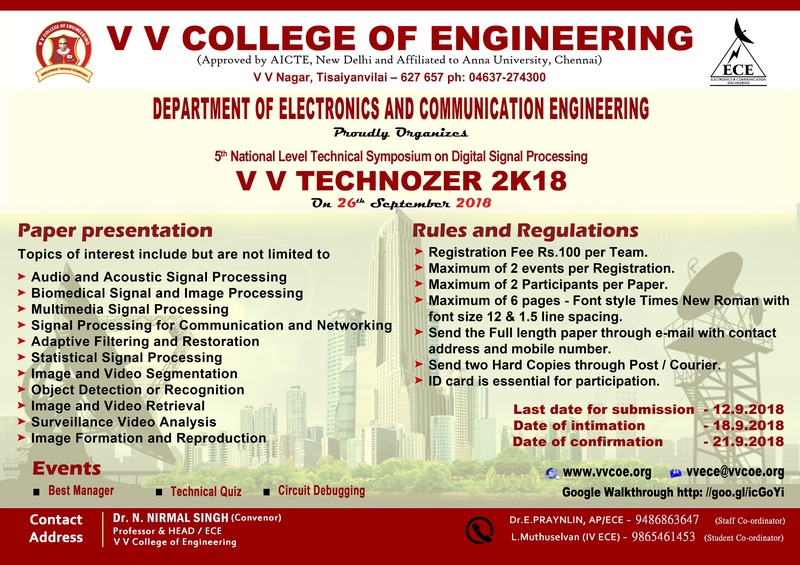 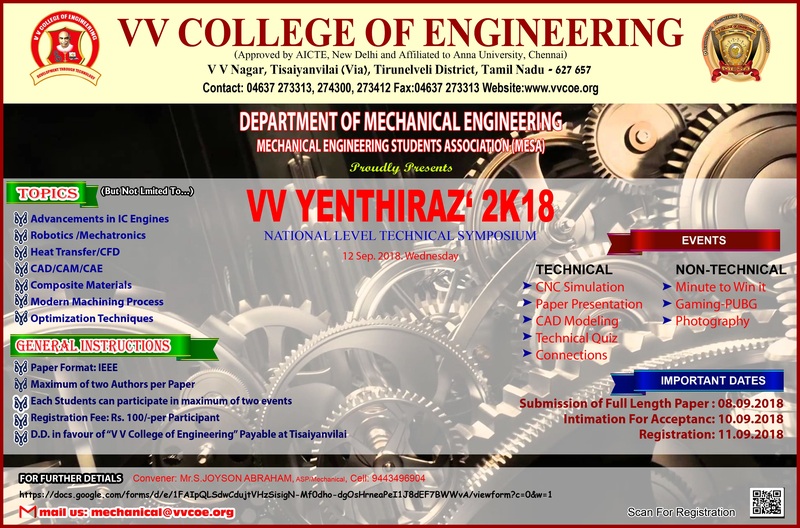 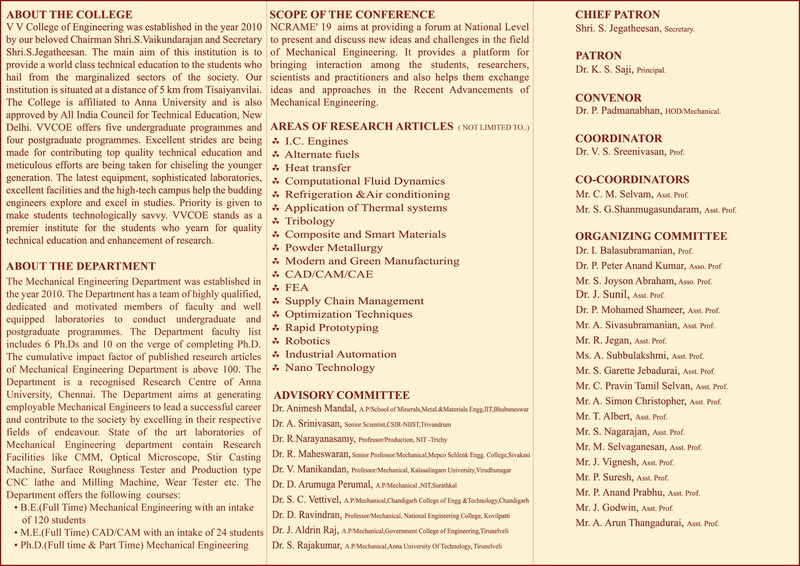 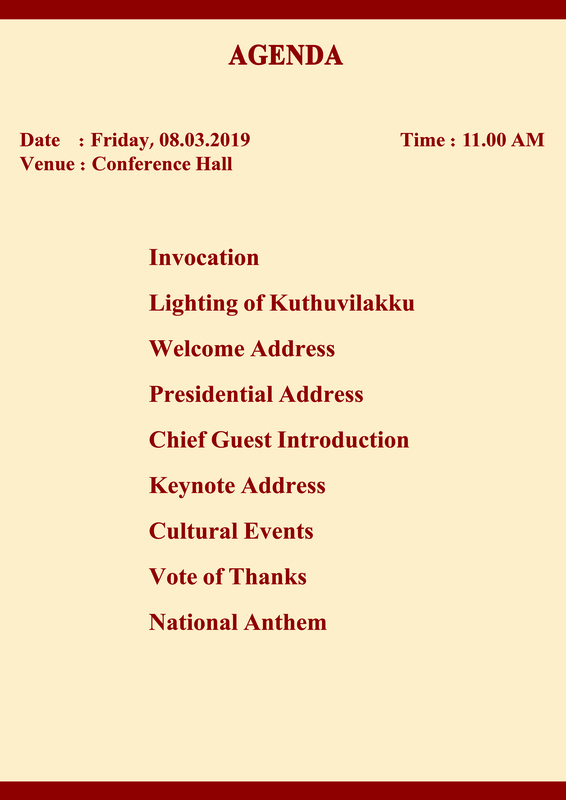 Department of Mechanical Engineering is organizing 6th National level Technical Symposium V V YENTHIRAZ '2K18 on September 12, 2018. 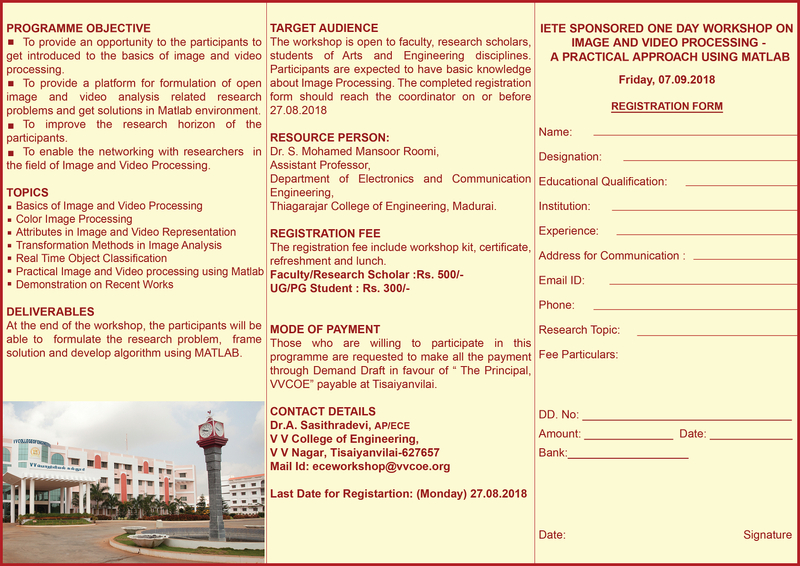 “DESIGN AND DEVELOPMENT OF KARTS” to be held on during 9th to 11th August 2018 in association with ‘IMAGINE TO INNOVATE’. 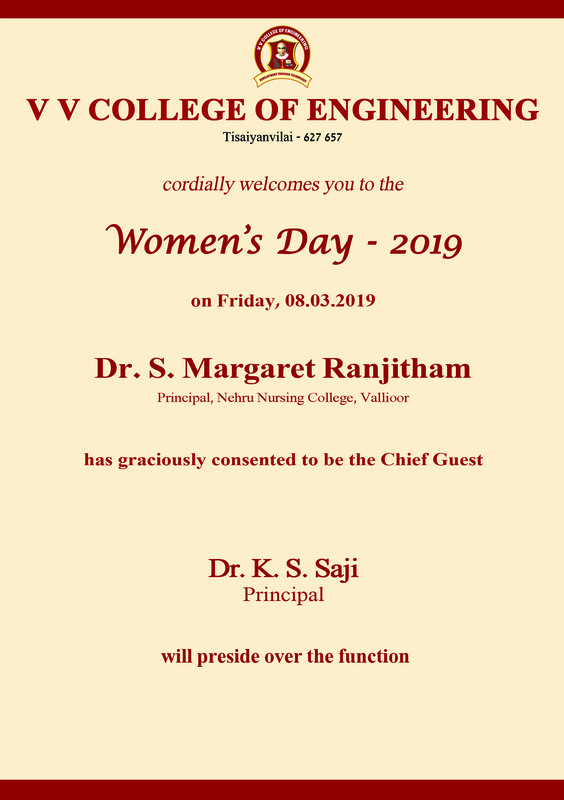 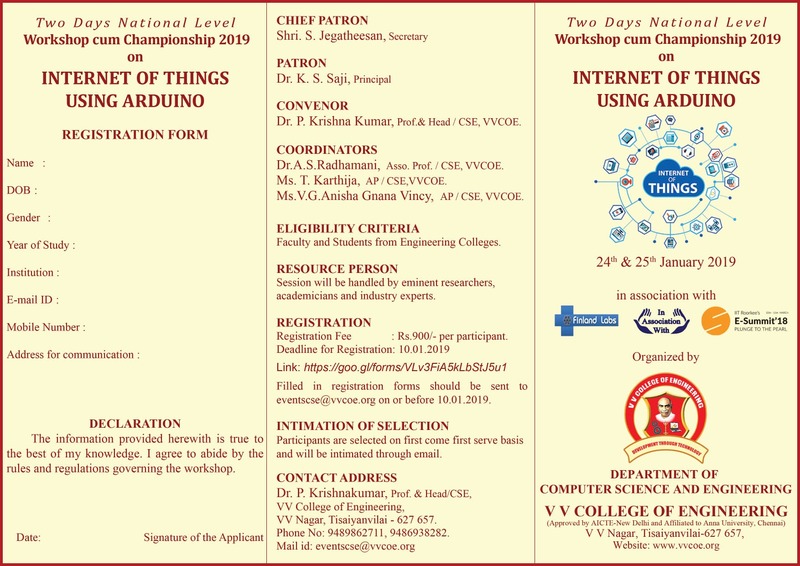 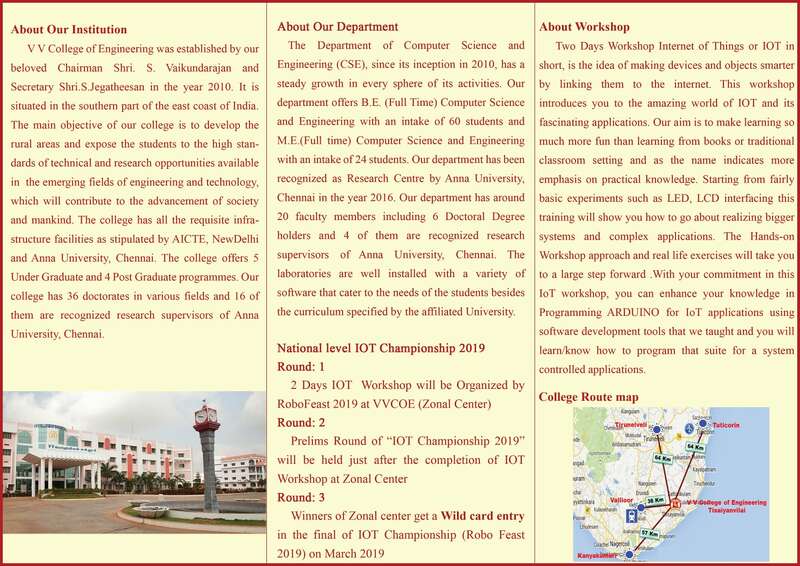 The aim of the program is to aid the students to design and develop the automobile components for participating in National Level GOKART COMPETITION. 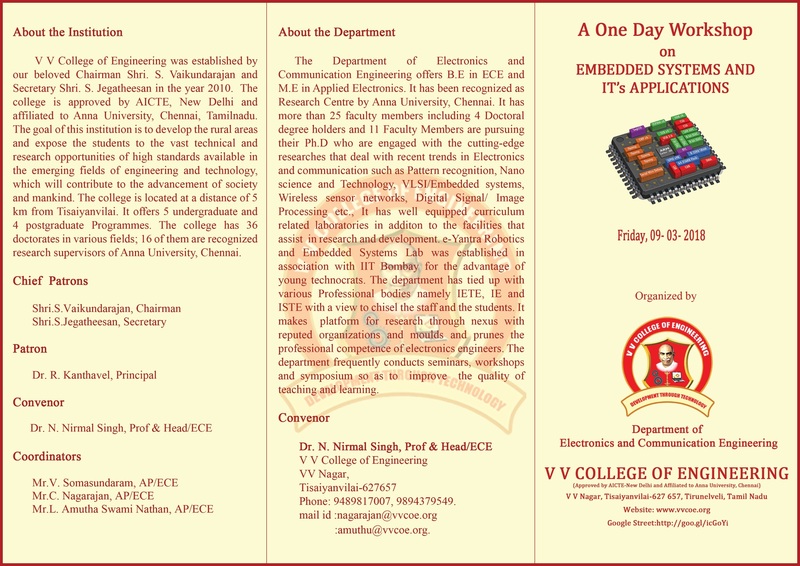 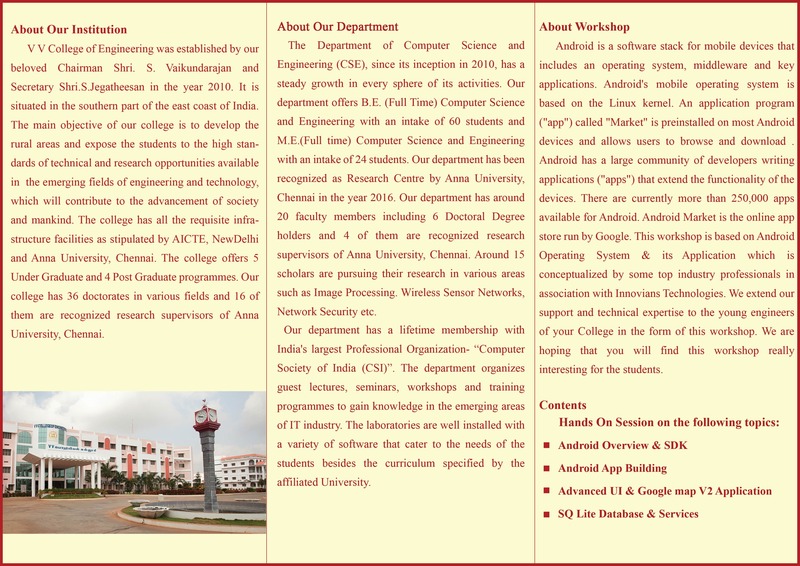 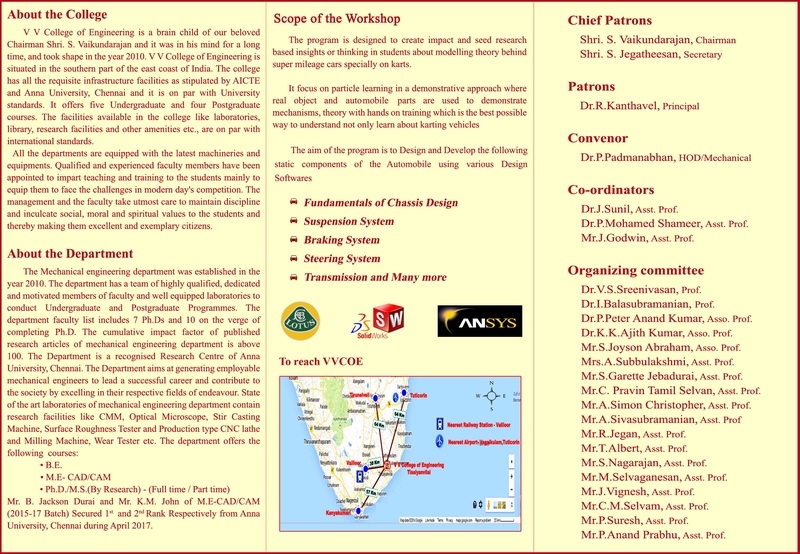 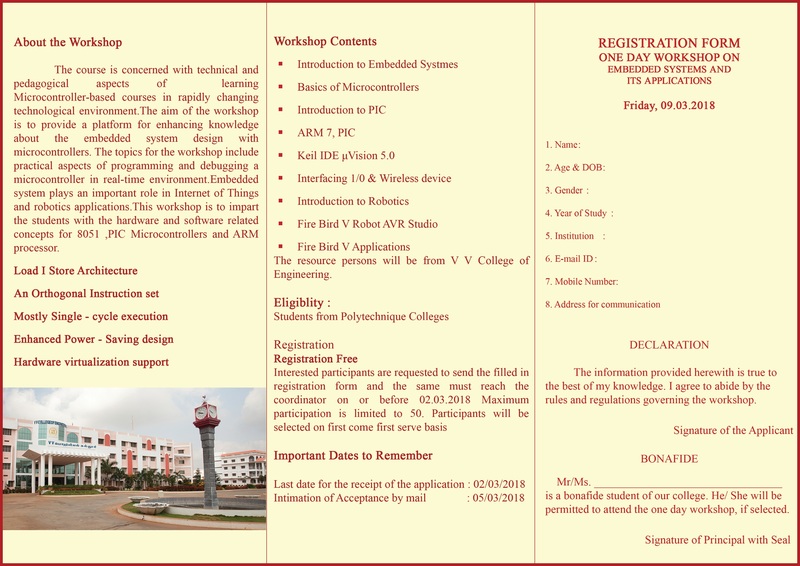 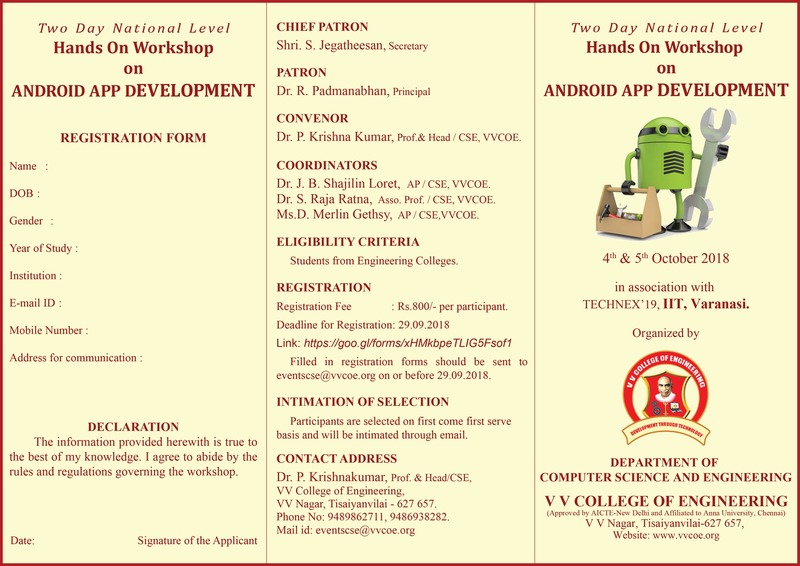 ECE department is glad to announce conducting a one day workshop on Embedded system and It's applications on 09th March 2018.